There are few metal bands around today that conjure immediate, strong polarized reactions at the very mention of the name as much as Dragonforce. If you listen to metal, or even if you don’t, you’ve probably heard Dragonforce before and head them enough to know how you feel about them. Their constantly fast playing and over-the-top fantasy power metal sound can be understandably too much to take in if not completely ridiculous to some. Impressively written signature dueling guitar solos from Herman Li and Sam Totman allowed the band to gain international attention to the point where they toured on many big-name festivals including Ozzfest and The Mayhem Festival. But the most notably successful point of their career – or infamous, depending on your opinion – was their song “Through The Fire And Flames” being featured in the third installment of the highly popular video game franchise Guitar Hero. The Guitar Hero fame was the point that seemed to divide people most on how they felt about Dragonforce. Whether a metal fan or not, hearing this song on this video game, not to mention trying to constantly master playing such a challenging song in the game, made Dragonforce a household name for a time. This fame came after the initial North American success through their 2006 album Inhuman Rampage, and after the release of two more previous albums. Dragonforce’s popularity, at least in the U.S., began to fall as their novelty wore off, playing smaller venues with subsequently smaller ticket sales. Finally in early March 2010, it was announced that founding vocalist ZP Theart was departing from the band due to musical differences. Even with the loss of such a signature and well-fitting vocalist, the remaining members of Dragonforce persevered with writing material for their fifth studio album. After recruiting new vocalist Mark Hudson, Dragonforce released their latest full-length album The Power Within in April, 2012. Prior to the release of The Power Within, it was clear that Dragonforce had undergone a rather drastic evolution in their sound since their first album, 2003’s Valley Of The Damned. The songs on this album, as well as their 2004 sophomore album Sonic Firestorm, were written much more as symphonic power metal taken to an level of extreme speed and cheesiness. Their following albums however, Inhuman Rampage and especially 2008’s Ultra Beatdown, clearly showed the songwriting had become much less serious. While Dragonforce had always placed overall fun as a high priority in their music, Inhuman Rampage and Ultra Beatdown featured more ridiculous sounds, elements, and effects, including both from the obvious guitar work but also from the keyboards and synthesizers from Vadim Pruzhanov, which took an even more drastic turn into the reminiscence of old-school, 8-bit Nintendo sound effects. At this point, Dragonforce had become more of a joke band than ever, which made it difficult for some listeners to take them even remotely seriously, let alone stay engaged with their already long songs. After the release of Ultra Beatdown – or even before, as some may argue – Dragonforce was in need of a long-overdue return-to-form sound. Thankfully, this is exactly what The Power Within presents to us. All of the symphonic, power, and speed metal elements you’d expect from Dragonforce are still there, but presented in a much more tasteful manner. For starters, the songs on The Power Within are drastically shorter than those on any of their previous albums. While Dragonforce had been known for songs on average ranging from as short as five minutes to as long as nine, the songs on The Power Within range between only four and five minutes, with the exception of the longest, “Wings Of Liberty” being just under seven and a half minutes. The Power Within still features extensive and lengthy yet impressive guitar solos from Li and Totman, the occasional breakdowns and catchy bass riffs from Frédéric Leclercq, and all of the challenging speed that Dragonforce is also known for is still well-supported by the absolutely stellar drumming of John Mackintosh. Some things have changed, however; obviously, the vocals. Right off the bat, the first thing anyone who’s listened to Dragonforce before will notice is that, although new vocalist Marc Hudson is fit to be a power metal vocalist, his range and style are clearly different from those of ZP Theart. Probably the most positive change in The Power Within comes from Vadim Pruzhanov, who still provides big, bold, and much more organic-sounding keyboard and synthesizer support and fills, but thankfully stays away from the forced, silly old-school video game sound effects. While there are some positive changes made to the Dragonforce sound, at the same time the album is still not perfect. Ironically, although much of the album is more subdued than many of their previous works, including the guitar solos, it actually ends up sounding more casual and less engaging. While their extremely over-the-top sounds, writing, and especially guitars grew more and more ridiculous throughout their career, they were still an element that you’d actually expect from Dragonforce. The guitars on The Power Within, even including the solos, are another element that are much more toned down, making them surprisingly less memorable than those on previous Dragonforce albums. Though these subdued guitars add to the more well-rounded structure of the songs, their less memorable nature could be in part to the mixing on the album, which even makes Mackintosh’s drumming stand out less, unfortunately. Finally, though his mid-range singing is crisp and clear, Hudson seems to strain a bit when jumping into falsetto vocals and he sounds more in the “head-voice range,” unlike the bold wails and strong-supported range of former vocalist ZP Theart, whose falsetto voice sounded more natural and less forced by comparison to Hudson. Although much of the appeal that Dragonforce was once known for is not as evident on The Power Within, the band’s ultimate songwriting and structure may be the best they’ve ever been. On all of their previous albums, Dragonforce’s songs almost always had the same basic but impressive extreme speed in their tempos and song structure, with exception to their more ballad-esque songs. On The Power Within, it’s noticeable that the band tried to slow down their tempo at least a bit on a good portion of the songs – such as the arena rock-esque “Cry Thunder” and “Last Man Stands” – making them catchier as a result. Still, that same Dragonforce speed is noticeable on maybe over half the songs, but is still fun to listen to, such as with “Holding On,” “Give Me The Night,” and “Fallen World,” in which the band has stated is the fastest song they’ve ever written. Possibly the most outstanding song The Power Within has to offer are the two versions of “Seasons.” The original, “plugged-in” version is one of those more toned-down tempo songs, that almost sound like it has a rock song structure injected with power metal elements. But the album closes with a beautiful and astoundingly well-performed acoustic rendition of the song, showing a completely different side not only of the song, but also of the band themselves. Prior to The Power Within’s release, Dragonforce already had a strange roller coaster of a career, filled with as many unpredictable ups, downs, twists, and turns as one of their songs, capped off with the departure of their lead singer. With this new album, instead of desperately trying to do the same things they’ve always done but with a new singer, Dragonforce seemed to use this as an opportunity for a time of rebirth; you could say that The Power Within sounds like one of their earliest two albums, but it would be more accurate to say that it sounds much more stripped down and “classic power metal” than even the band’s earliest work. While not necessarily redefining themselves, The Power Within almost makes it sound like they band is actually starting over from scratch, possibly to try again as a power metal band who takes their songwriting a little more seriously than relying on their old signature gimmicks. Time will only tell if this is the case or if it will work, but since The Power Within is a more subtle, subdued re-stylization of Dragonforce’s sound, it is an album that both for fans as well as those who might want to give the band another chance should definitely listen to. 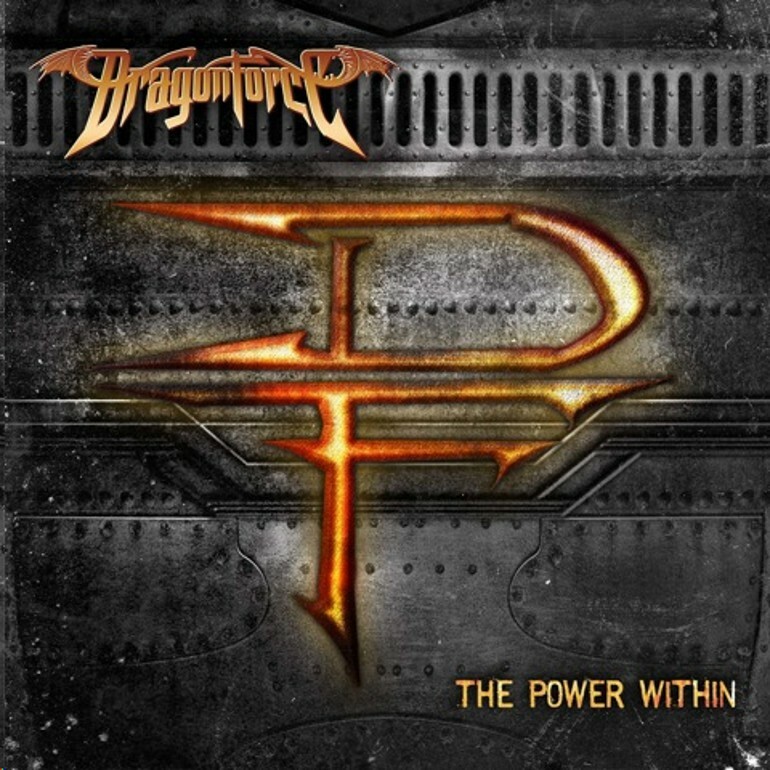 Unless power metal is just really something you don’t personally like or can’t get into, The Power Within may be the album that makes Dragonforce more accessible to listeners.